Certified translation of official documents with competitive rates and unbeatable turnaround. Perhaps you’re a student heading out on a year abroad seeking certified translation services for your degree transcripts, an expat requiring a sworn marriage certificate translation to secure a visa or a company looking for officially-recognised translations. Getting all of your paperwork in order in a language that isn’t your first can be a daunting task. We know that living or working abroad can produce a lot of bureaucratic headaches and our certified translations are designed to help minimise the hassle. As an ISO certified translation services company, you can rest assured our language solutions are of the highest quality. With our express services, we can have your accurately-translated file and certification back to you within a matter of hours. Certified translations contain a certification signed by Espresso Translations to confirm that the translated text is a complete and accurate translation of the original. In the UK, certified translation services UK are sufficient for the translation of official documents. For notarised translation, the translator swears on oath before a public notary that the translation has been completed by him/her. The notary does not confirm the translation quality, only the identity of the translator. It is then officially certified by the legal notary. Sworn translation is completed by translators who have either a specific qualification or a degree in translating. Sworn translators are accredited by government entities or local courts and the translations are regarded as having formal status by the relevant authorities. Documents for use overseas need to be legalised or apostilled. In the UK, legalisation is done by the Foreign and Commonwealth Office. It doesn't guarantee the translation quality, only that it's a genuine stamp. It's only valid in countries signatory to the Hague Convention. Espresso Translations is an industry-leading translation services company offering certified translation London services for official purposes in over 150 languages. Whether you need a notarised translation, sworn or certified translation UK, we have experienced official translators on hand ready to translate your documents and certificates quickly and accurately. As we hand-select each professional translator who carries out our language services, you can rest assured that their work is of the highest possible quality. We are ISO-certified, meaning all of our certified, sworn and notarised translations are accredited and subject to strict quality assurance protocol, including revision by a second linguist. Our translation certification services are not only carried out with a high level of linguistic accuracy but are presented in a clear, comprehensible manner that perfectly matches the requirements of your official document – whether this means sticking to the original format of your certificates or adapting to the legally-recognised model used by the country in question. WHY DO I NEED TRANSLATION CERTIFICATIONS? Official translation services are the best way of making sure any papers for official purposes are expertly handled and free from errors, as well as giving them a legal validity that is not always recognised with standard translations. This is often used in specialist industries such as medical translations. At our company, we pride ourselves on the broad range of document translations that we offer. We offer these across a number of different industries, and you can request that we certify any document translated by our certified translation agency. Our extensive experience in certified translations UK has shown us that the official nature of the source document or certificate creates an additional need for efficiency and reliability of service. Alongside being in the capable hands of an expert linguist, you will also be assigned a dedicated Project Manager, who will serve as a friendly and helpful information provider throughout the entire process. Our ensure that the formatting of your official documents in local languages remains the same. All documents are sent with a translation certification that attests the accuracy of the translated document, which is often officially required by public entities. DO YOU TRANSLATE OFFICIAL CERTIFICATES? Absolutely, yes. 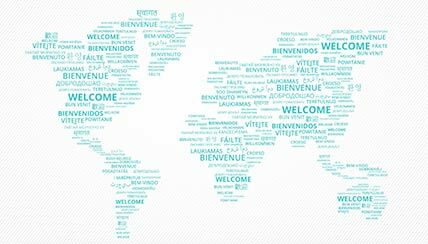 Helping individuals and families bridge linguistic and cultural gaps is a central premise of our language agency, and this is clear in the wealth of certified translation services we offer at competitive prices, no matter what language or timescale you are working towards. We know that emigrating to another country can often bring with it a great deal of red tape, even if you speak the language fluently. Wedding certificate translations and divorce certificate translations, for example, must be carried out by a certified translator, and for many countries there is a specific format that these must adhere to in order to ensure that they are considered legitimate, but our experienced and reliable team is always up to date with the certification requirements for each country. The efficiency of our certified translation service is evident from the moment you first get in touch with us. Within an hour of receiving an outline of what you need officially certified, we will reply with a personalised quote for our services that reflects our emphasis on providing consistently good value for all of our customers. Ever translation will have a translation certification statement. Many of our clients are concerned about their status in Europe following the uncertainty surrounding Brexit negotiations between the United Kingdom and the European Union. Some who had their immigration documentation translated years ago may want to be reassured that their paperwork still matches up to EU and Home Office regulations, or simply update changes to their family records. Our London certified translation services comply with government guidelines and can be used for your residence permit or citizenship application. As we understand just how stressful these adjustments can be, we always make sure our industry-leading certified translation services are perfectly reliable, with your translation being double-checked by a second native speaker before delivery. WHY ESPRESSO TRANSLATIONS FOR YOUR CERTIFIED TRANSLATION SERVICES LONDON UK? We have vast experience in officially translating certificates and our expert team ensure the formatting of your original document is replicated. Our certified translation UK agency London is ISO-accredited, meaning every document is translated by a native-speaking expert and double-checked by a second linguist. With our urgent translation certification services, we can get your files back to you in the shortest of turnarounds, even within a matter of a few hours. Our certified translators are familiar with the local requirements in their native countries so you don’t have to spend time trying to figure out official requirements in a language that isn’t your own.